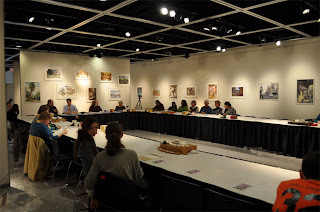 The gallery's current exhibition is Taiwan International Watercolor. It's the first time Taiwan's International Watercolor Society exhibits in the USA. 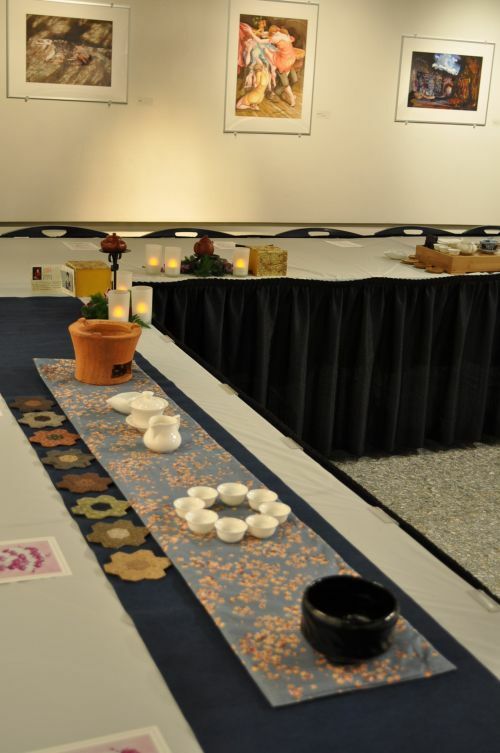 For this event, Teaparker and me helped the Tea Institute co-host 2 successful tea parties on April 7th. The guests came to enjoy fine tea and art. We showed them that tea itself could become an art. We used Teaparker's Cha Xi - Mandala concept to link both worlds. 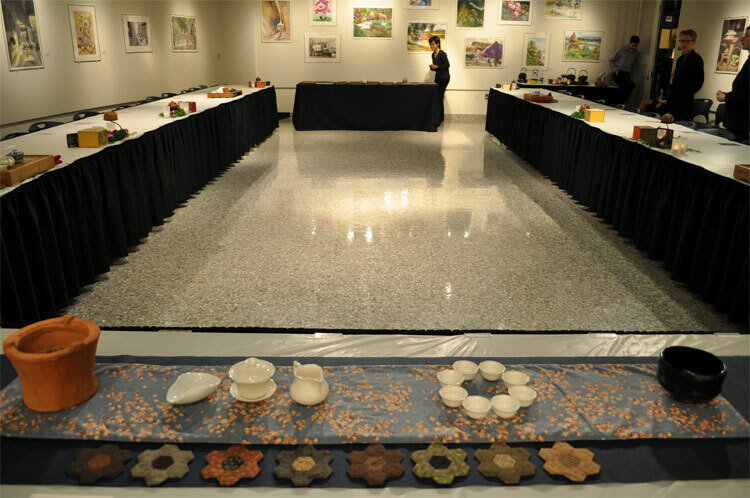 The Tea Institute's 4 brewers and myself set up our Cha Xi to make tea for the guests. 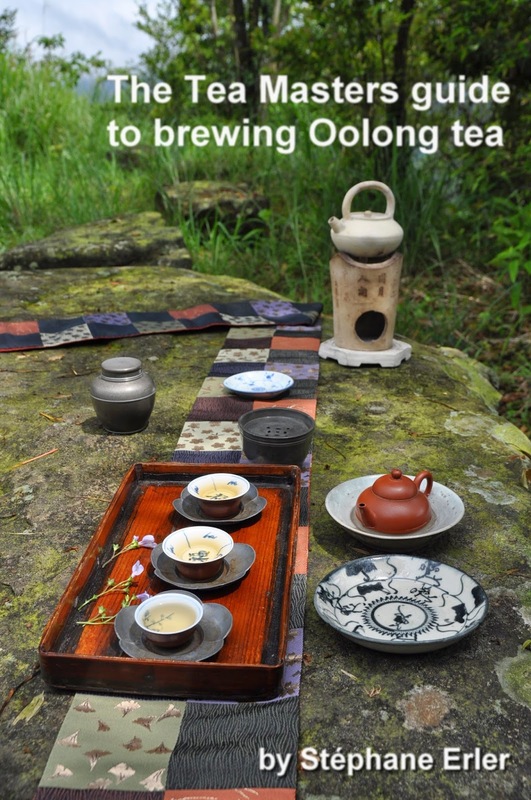 We would brew a Spring 2011 Si Ji Chun from Nantou county. We chose to all use a gaiwan to brew this Oolong, because it is a learning tool, fitting for students who want to study tea. For my Cha Xi, I chose the theme of 'spring flowers'. They are symbols for these young students. We wish them to blossom, to lead wonderful lives thanks to the knowledge they learn at Penn State. Loose tea started to be brewed in the Ming dynasty, under Emperor Hongwu. He was born in a family of poor peasants and his switch from away from the complex Sung dynasty tea whisking technique was also meant to make tea more affordable and popular. So, for me, this unexpensive Si Ji Chun was also good choice to show that tea is for everybody, especially here in the USA. For some of my American guests, this was the first time they saw whole tea leaves! And even a US-Taiwanese guest was surprised that my tea tasted so much sweeter than the Oolong she drinks at home! It was with great pleasure that I had the opportunity to travel to Penn State last week. 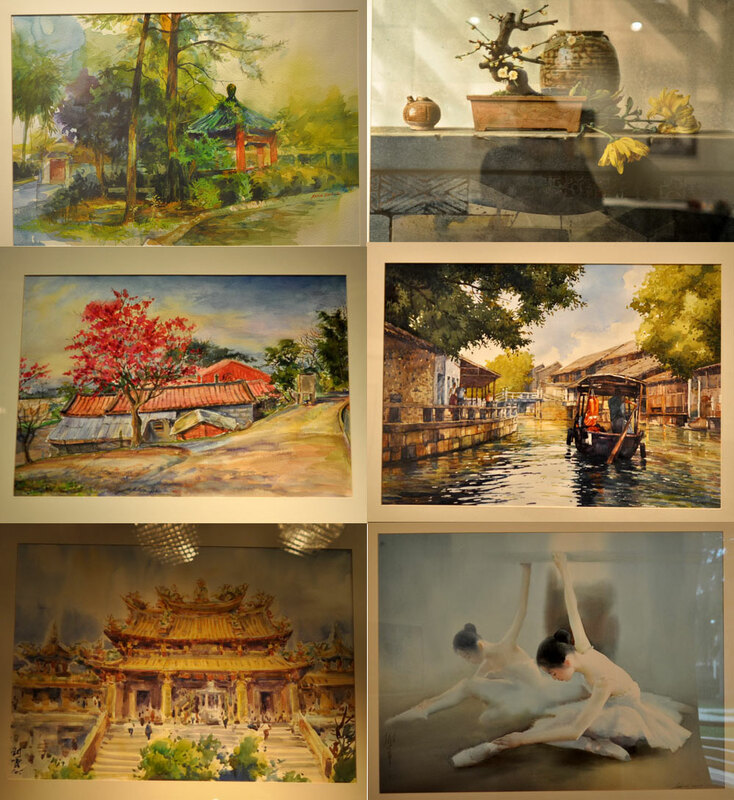 The talented and remarkable artists whose watercolor paintings were on display are to be highly commended. Several of these were so exceptional, I found myself drawn back to the gallery for a second day of viewing. As outstanding as the watercolors were, it was the artistry and dedication of Tea Master Teaparker and his students Stephane Erler and Paulina Chan, as well as those on campus involved with the Penn State Tea Institute and Gongfu Cha club, that especially lingers in my mind. For such noteworthy people to literally travel half-way around the globe to share their love and devotion to tea and its culture with others puts me at a loss for words to describe the gratitude I feel. Seeing the students hone their skills and put single-minded effort into preparing their best cups of tea, had me thinking on more than one occasion as I drove home that I wished I knew what these students know when I was their age. 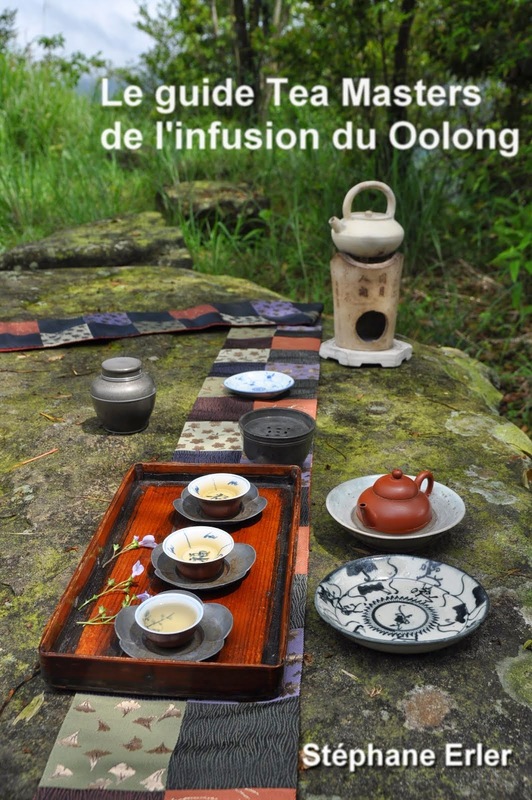 The analogies of seed planting and flowers blooming with regard to the continuation of traditional tea culture for future generations strike me as accurate and leave me with feelings of optimism. To everyone involved - Well Done! Please stop by the tea house (in 34 Ritenour) whenever your in town. We will be sure to brew something special! Thank you for coming and meeting me at Penn State. I'm glad you enjoyed this visit.